We are a leading Manufacturer of baby girls sleepwear, childrens readymade garments, baby girls frock, baby girls tops, kids knitted frocks and kids cotton frocks from Tiruppur, India. Our assortment includes printed baby girls sleepwear which are available in different styles, fabrics, sizes and colors. These garments are manufactured with funky styles and patterns keeping in mind the end users of the same. This range of garments is suitable for all climatic conditions providing ultimate comfort to the baby. We manufacture and supply children readymade garments that are manufactured from skin friendly fabric and provide the wearers high level of comfort. Available in various colors, these children readymade garments are manufactured with quality raw material that ensures superior finish to the cloths. 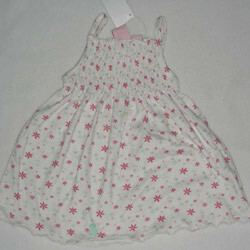 Our range includes kids dresses, baby frocks, cotton frocks and others. 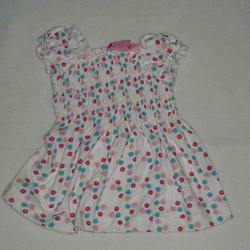 We manufacture baby girls frock, these girls frock are trendy and girlish as well. Most of them come with a belt at the back and are also available in many bright colors and styles. These girls frock are also given with a belt and a zip for a better fit. We also tailor them as per the specifications laid by the clients. 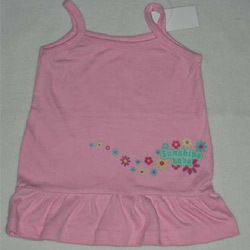 Our range of baby girls tops has carved a niche for themselves due to their intrinsic patterns and beautiful embroidery. These kids tops have been fabricated by our designers using classy range of raw material like cotton, silk and others. 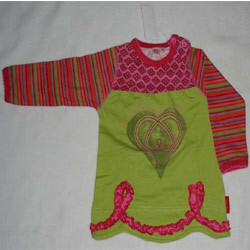 We manufacture kids knitted frocks, these frocks are trendy and girlish as well. Most of them come with a belt at the back and are also available in many bright colors and styles. These kids knitted frocks are also given with a belt and a zip for a better fit. We also tailor them as per the specifications laid by the clients. 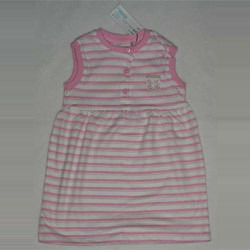 We manufacture kids cotton frocks, these frocks are trendy and girlish as well. Most of them come with a belt at the back and are also available in many bright colors and styles. These kids cotton frocks are also given with a belt and a zip for a better fit. We also tailor them as per the specifications laid by the clients. 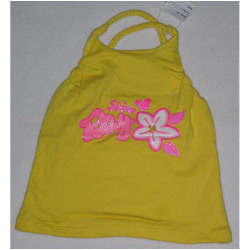 We manufacture an assorted range of girls backless tops, that are sure to create magic and can be easily wear by kids. Combining traditional designs with modern patterns, we have created a range of girls backless tops that depicts a style statement. Our designer range of girls backless tops are one among the most memorable, most treasured and most loved collection. The stitch in all the garments has been neatly done to give it a fine finish look. We have served clients from all over the world and we have the capability to cater to the bulk orders. Superb to feel a cool & glamorous touch. These round neck & half sleeve embroidered kids gown have been adeptly embroidered in enrapturing patterns with threads of blue colors. 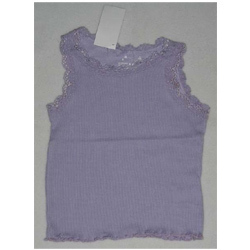 Girls spaghetti tops comes in a very pretty colors. 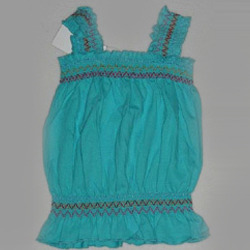 Girls spaghetti tops has a main body gathered at the waist which is emphasized by a wide belt. They enhances the look of this garment making it a style statement. The fabric has a rich soft look and is very comfortable to wear. 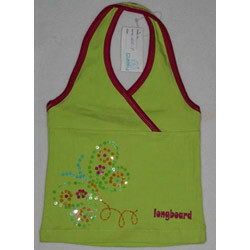 We offer a wide variety of kids plain tops from quality cloth material. These kids plain tops are available in all standard sizes and color combination. Skilfully stitched and comfortable to wear our range is in high demand by our clients spread across the globe. We also meet customized requirement of our clients. We manufacture an assorted range of girls halter neck tops, that are sure to create magic and can be easily wear by people of all ages. Combining traditional designs with modern patterns, we have created a range of party wear halter neck tops that depicts a style statement. 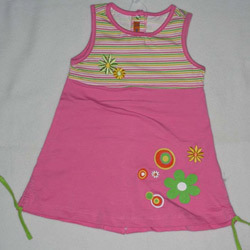 Designer camisole tops are very important part of the kids wardrobe. Rigid, cropped, shiny and highly lacy are frequently sold in the market as stylist garments. In our collection, the designer camisole tops are available in superbly comfortable fittings, more stretchy, softer and unfussy forms. We offer a gamut of girls long tops manufactured using superior quality fabric. These long tops are available in many designs, patterns, and colors. Our designers design these long tops as per the latest trend and designs. These girls long tops are very comfortable to wear. Moreover, we offer complete customization facility to our clients as per their requirements. Looking for Baby Girl Clothes ?